Are you using PostgreSQL as database backend for your product? Then we have the ideal solution to save you and your customers from database problems. PostgreSQL is increasingly being used as database for software and hardware solutions. Once they are sold to the customer, you are often left with the question how to offer a thoroughly satisfactory SLA. This is where we come in. 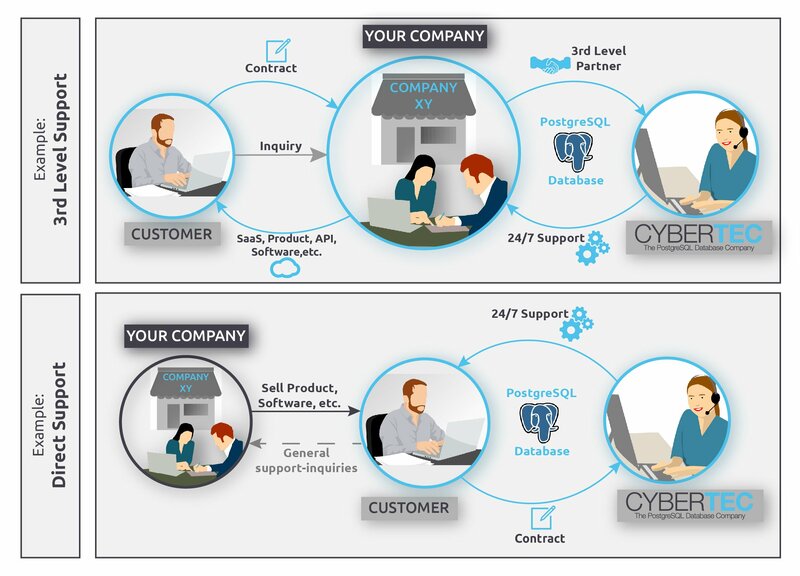 Besides our classical PostgreSQL Enterprise Support we also offer the option to support your customer directly or indirectly. It may be that your own database team has good basic knowledge about PostgreSQL (e.g. through our PostgreSQL courses), but you need to provide 24/7 support to meet your SLA. Or your customers want to have you, the vendor, as a single point of contact for service requests. Then we are there as your third-level support, invisible to your customers. Of course this also applies if your product is e.g. resold by others. Everything is possible. Big enterprises prefer direct communication with the support provider? No problem! We as your partner take over the complete PostgreSQL support for your customer and make sure that the your product’s database is up and running.